Beers and Bikes. Two of the best words that start with the letter ‘b’. Combine them? Well then, life can’t get much better. Who knows why or how it happened, but for some magnificent reason, people who appreciate bikes, tend to also appreciate craft beers. It’s associated with the urban/mountain biking crowd, but anyone can turn into a beer lover upon first tasting the fresh hoppiness of a local microbrew. And the great thing about being a beer lover, is that there are great beers brewed all around America, in people’s basements, backyards, breweries, or pubs (ok, there’s one word that doesn’t start with ‘b’ that makes the cut). Certain cities may be more densely populated with craft beers, but wherever you live, you shouldn’t be too far. 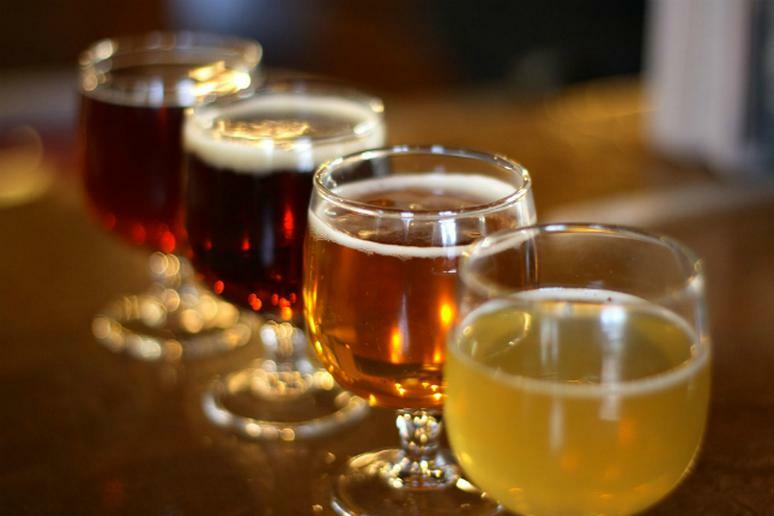 This list explores some different locations around the U.S. from the ales of the east coast to the IPAs of Colorado, you’ll easliy find a tour you love and a beer that fits snugly in your drinking hand. And after a long day out on the trails with your bike, the reward of an ice cold beer will be the icing on a fantastic day. Introduce yourself to the world of fat tire biking, along with some great tasting beers. The ride starts in Telluride and progresses through picturesque Valley Floor with snow, mud, streams and tracks along the trail. At the end of the tour you can celebrate your success at local Telluride Brewing Company. 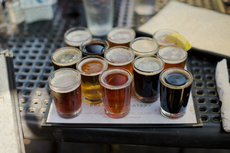 Click here to see more bike tours for beer lovers.